Yesterday I drank a cup of green tea while I did my Japanese calligraphy. The smell of green tea calms me so that I can focus on the ink, the brush, and the strokes. I enjoy it hot or cold, and loved drinking matcha-flavored soy milk or matcha frappacinos when I lived in Japan. 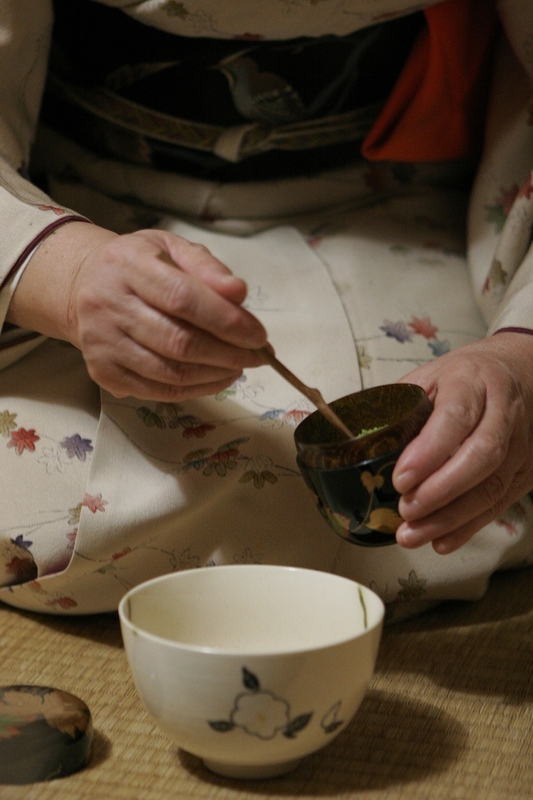 Matcha is a kind of powdered green tea that is used in the tea ceremony. 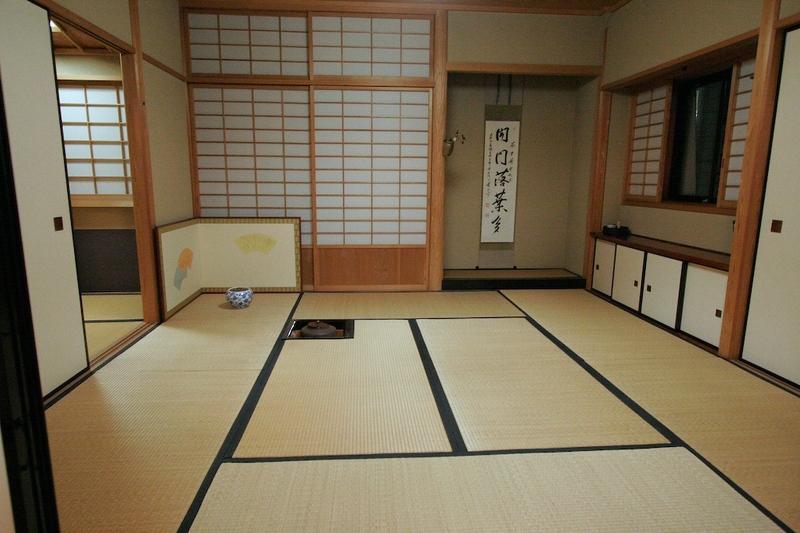 I experienced the tea ceremony only twice. It is a highly ritualized event that gives meaning to the mundane. What could be more prosaic than making and drinking a cup of tea? 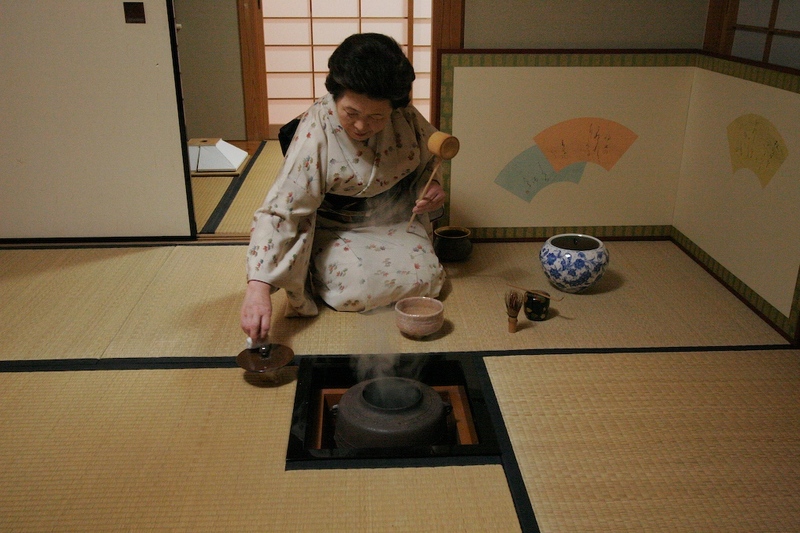 Yet, in the tea ceremony each and every act is filled with meaning and purpose. The simplest act of stirring the tea, pulling the sleeve of the kimono away, or turning the teacup is noticed and appreciated. For a brief period of time, all that exists is this exquisite act of making and drinking tea. When else do we make time to marvel at the ability of the body to kneel or enjoy the incredible ability of the wrist to rotate so delicately? 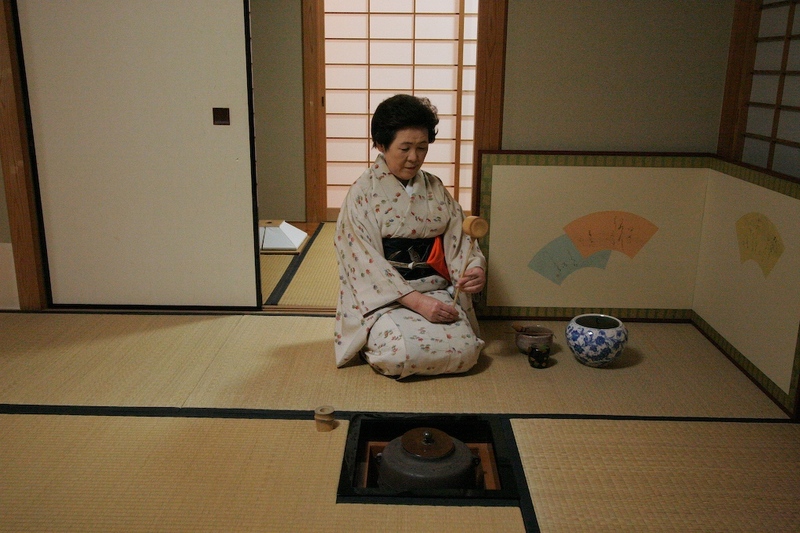 During the tea ceremony, this moment, this bending, this pouring, this stirring becomes the sole focus of life. No thought is given to what happened before or what will happen next. What matters is what is happening now. And it is a communal moment – the shared cup of tea, bitter but lovingly and tenderly made and offered, along with a small sweet. So like life itself. During the ceremony, time is tamed. Tea brings the participants together, and in that moment they belong to the tea and to one another. Children understand these things so much better than adults. They love rituals. They do something over and over without tiring. The way the page is turned, the voice is modulated, the neck is kissed, the pillow fluffed, and the last goodnight said – all to be done without variance. And loved for that very reason. The child leads the parent into the ritual – to share the moment, to be together in time, or better, outside of time as the parent usually experiences it. The parent may try to cheat, but the child will rarely allow it, or if the child does, it will be reluctantly and out of obedience or resignation. The moment will be lost. Although I need time to look both backward and forward to understand this path I am on, I don’t want to miss this moment. There is still much I want to see, do, read, and experience, but the tea yesterday reminded me that I also need time to enter the familiar dance of ritual that brings me into the moment and gives meaning to the mundane. 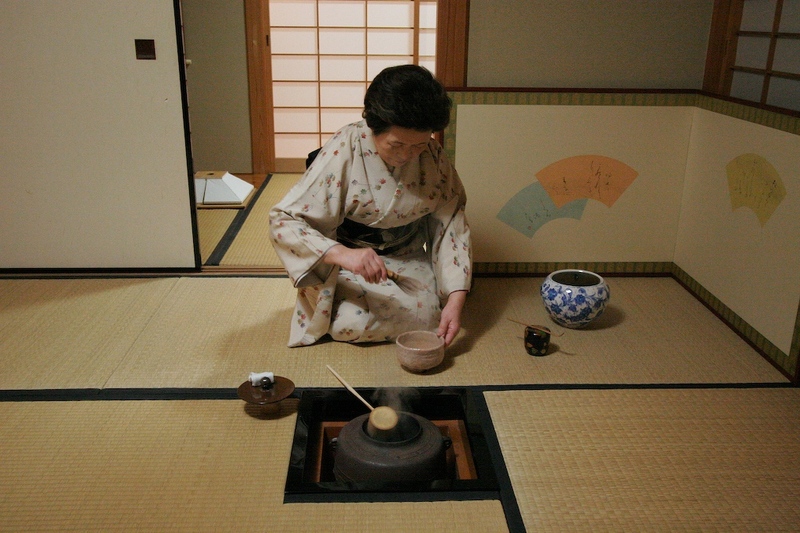 One of the phrases associated with the tea ceremony is “ichi go ichi e” ( 一期一会 ), which means one chance, one opportunity. That’s all we get. Now is our only chance to live, to see, to love, and to share. Let’s not lose the opportunity. Well said…or perhaps well written. Sometimes we are so caught up in the destination that we forget to enjoy the journey. Thanks for the reminder. I need to remind myself often. Having a grandchild helps. Lovely. A still sweet pause in a hectic week. Thank you. I know that you are busy with your play. Best of luck. Drinking a cup of green tea while doing Japanese calligraphy sounds fairly blissful to me. Thanks for the timely reminder that we only get one chance, one opportunity. There are so many simple pleasures in life, aren’t there? From your blog, I know you are a lover of beauty. It’s nice to slow down and just take it all in. 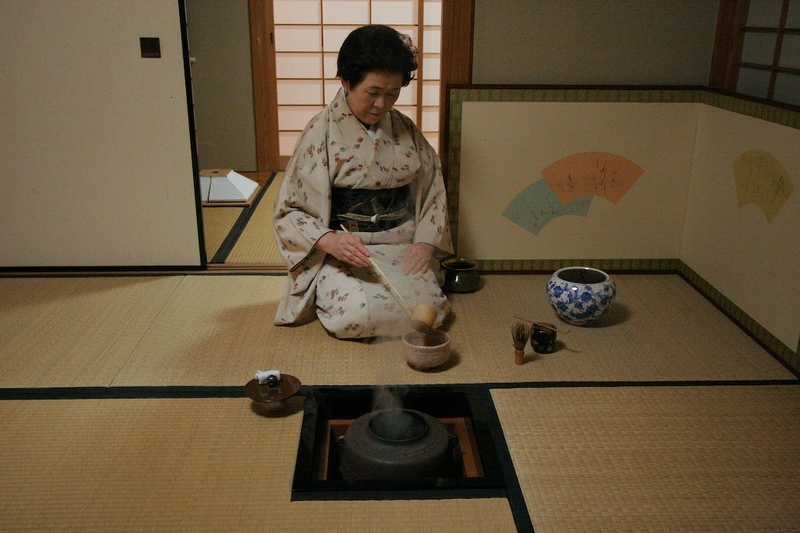 The tea ceremony is a wonderful reminder to focus on the moment. I loved the details in the pictures. Thanks for helping re-frame my perspective for the coming week. I’m glad you liked the pictures. The woman is a friend of my calligraphy teacher and she invited a group of us over one evening. My brother was visiting us in Japan, and he took the pictures. Thanks for the reminder to cherish the daily routines, the little things that so often become the big (important) things later in life when we look back in memory. One chance, one opportunity. So true. The older we get, the more there is to look back on. I like what you said about things that look small now becoming more important in retrospect. I’m glad you liked it. You are very talented, olletron, and I think you could learn to do calligraphy. Nice photo set. Sometimes it’s important to slow down and stop to smell the green tea. Ichi-go ichi-e indeed.